The P4NX has power settings at 50ws, 100ws, 200ws and 400ws to give photographers an awesome range between moderate light levels and the higher flash power settings for full sunlight or high f-stops indoors too. 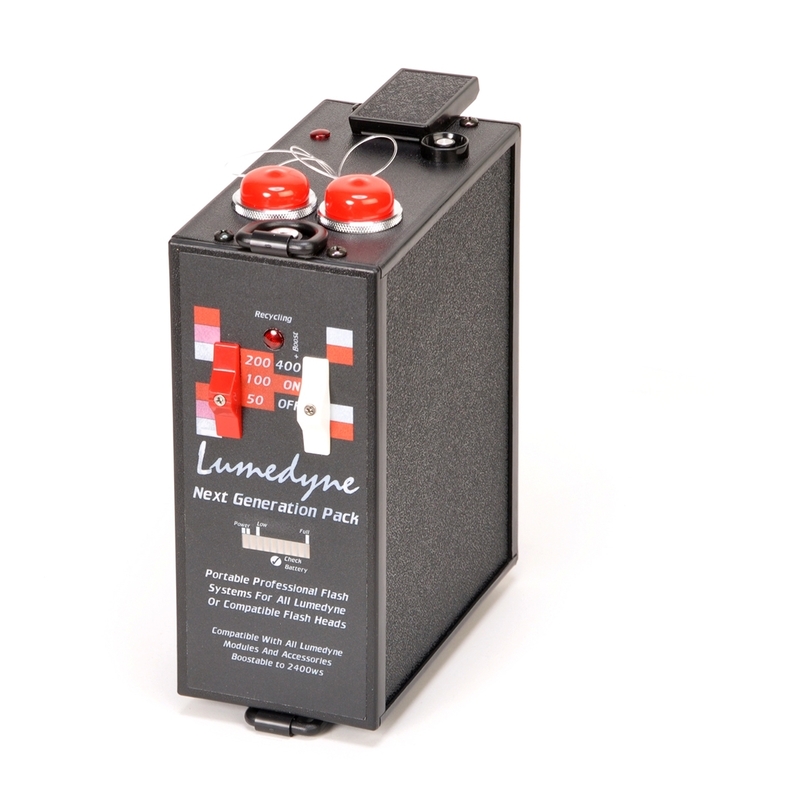 The P4NX Packs are fully compatible with all of the classic modules and Heads that Lumedyne has been producing for over 45 years. It has two Flash Head jacks and will divide the available power between them if you use both Heads at once. This Pack is a fast recycling power pack that also offers extra fast settings which consume the battery with less flashes per charge. The Pack is more powerful than many other brands who claim a similar power level and the raw light output speaks for itself. These 400ws Packs have a nice slow flash duration which is great for high speed sync techniques. High power off camera lighting is extremely helpful for using light modifiers on location. The seven light battery gauge is an awesome addition to the Lumedyne system and it helps identify weak batteries as well as giving you a clear representation of how much power you have left per charge cycle. You simply press a small button hidden under the label and the gauge lights up and shows you the available battery power. The Pack includes a neoprene shoulder strap. The Battery and Charger as well as the Head and accessories are all sold separately.